We had four beautiful, classic and feminine new Rachel Parcell Collection pieces launch this morning!! 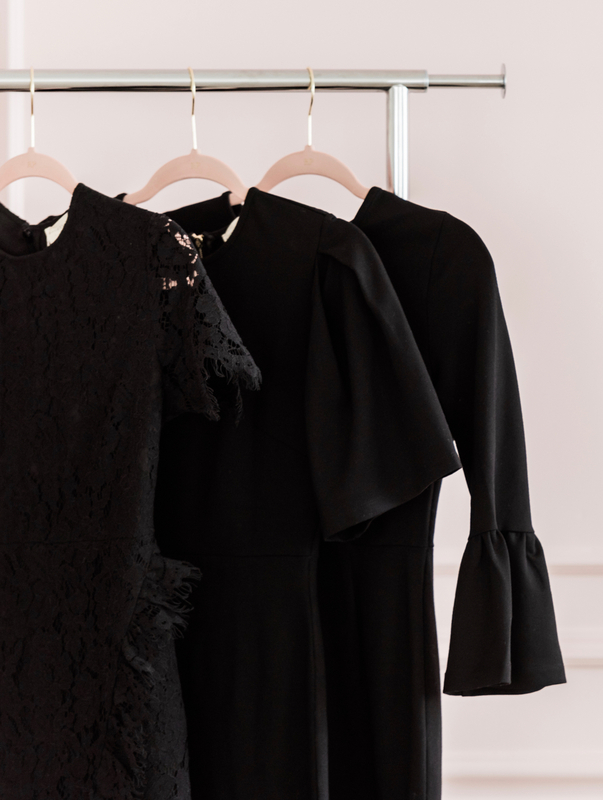 The black lace dress is for sure my favorite (especially with the ruffle down the front), but everything apart of this collection is so beautiful and pieces that you’ll wear in your closet time and time again. 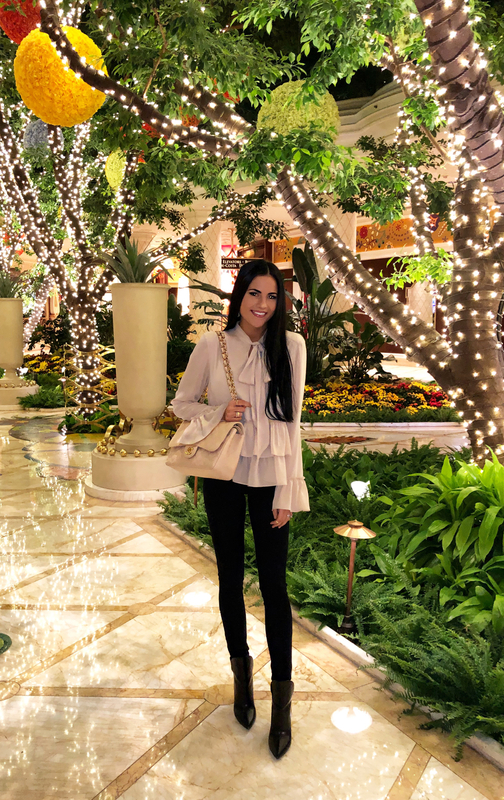 I actually wore the Je-T’aime Ruffle Blouse on my birthday in Vegas with Drew. We were supposed to go see Celine Dion that night (he surprised me with tickets) but while we were at dinner we got an email saying the show was cancelled (Celine got a cold). I was sooooo sad but that left more time for shopping ;) Here’s me wearing the top on my birthday! Thanks so much!! Glad you like the pieces! The Je T’aime Peplum Top is beautiful!! I absolutely love that! Loving these classic pieces with little trendy details! I’m loving that bell sleeve dress and the lace dress! Gorgeous photos! i’m an italian girl and I love your clothes. I congratulate you because I really admire your elegance. I would like to know if your clothes can also be sent to Italy. I feel like I need all three of those black dresses in my life! That first, laced dress is amazing! you’re looking astonishing! The dresses look like they would be great classic pieces to have and would get many repeat wears. I love the black dress with the gorgeous sleeves babe! Love love love that bell sleeved dress! It’s so chic! 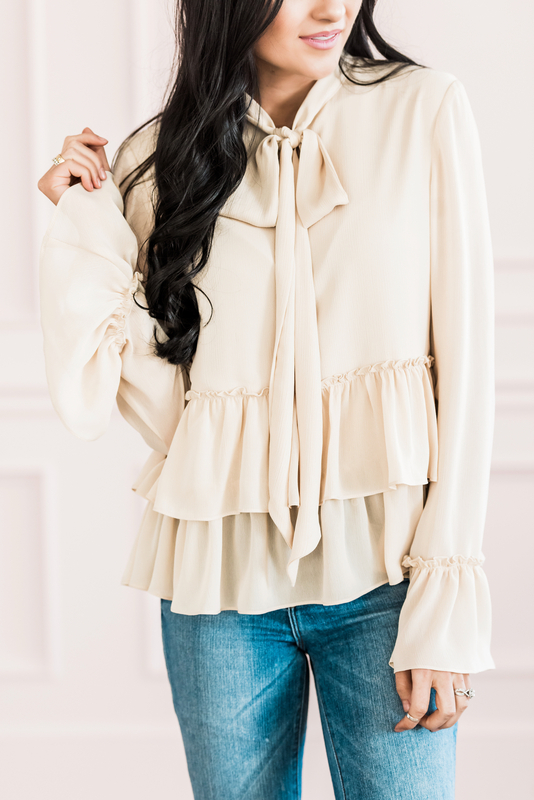 Love the ruffle blouse! I remember your post and am so excited to see that this is from your collection! Now I just have to watch for it to come back in stock. =) What size did you take? LoVe ?the simple versatile LBD look … so classy beautiful! ???? loving these dresses! I have been wanting to wear more dresses lately and these are pieces that i would wear proudly. Thank you for sharing! Thank you! Yes, that blouse turned out so beautiful!